More than once I’d expressed to doctors that what I instinctively needed was to be sliced open and hosed down until my insides were as whistling clean as an infant’s; then maybe I could start my life over. 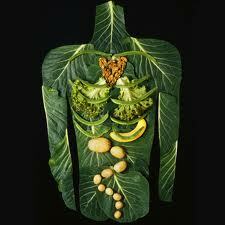 As a last resort I signed up for a detoxification program offered by a vegan raw foods restaurant in Chicago. The program required staying on the raw foods diet for a month. It also included a daily, self-inflicted enema for two weeks and finished with a three day veggie juice fast. It was the next best thing to a hose without the need for a scalpel – raw foods followed by liquid veggies on one end, and a hose, literally, on the other. I thought maybe this was how you returned to balance. I had to go to one side of the extreme (raw foods) to make up for years of being too far toward the other side (beer and processed foods). If that didn’t work, I was done for. For the first few days on the program my belly ached from the raw food assault, and the fatigue grew worse. “That means it’s working,” the instructor told me. She was in her late fifties and was strikingly beautiful, having been on the diet for thirty years. “It just shows how much your body needs this.” She went on to explain that this was just a detoxifying reaction as my body labored to expel long held toxins. I’d heard of this “healing crisis” theory before from every holistic practitioner I’d ever worked with, but wondered what the difference was between my normal fatigue and this more intense fatigue. Had my body been in a continuous state of detox all along, constantly trying to clean itself out from the years of abuse to find a more balanced state? Apparently it was. By the second week of the program the fatigue lessened. My stuffed sinuses were literally on the run, clearing out, and I began to believe that all of the other holistic approaches had failed because their potential benefits were overwhelmed by the severity of the issue, like expecting a single drop of Drano to unplug a mile long tangle of congested pipes. All I had to do was top it all off with the three day fast. The instructor and some class alumni talked about fasting as if it were some kind of spiritual experience. Once they’d been freed from the heavy burden of food, angels would carry them through life on a heavenly breeze. I think it was group, cult-like hypnosis. By the second day of the fast I was sure death was imminent. Somehow I survived and at first was surprisingly indifferent to the usual seduction of food, but within a few days I couldn’t eat enough. I stayed on the raw diet for the next week and found I could jog easily without pain from an ankle injury that had nagged me for years. The fatigue was nearly gone, too. I felt light, energetic, and on the verge of a permanent cure if I could just stay on the diet. Finally, raw foods provided the answer to all of my health issues. I should have known that only unadulterated nature could heal my unnatural ills. There were only two problems. I felt a need to make up for the deprivation of following an extreme diet, and I had to know if the detox process had finally provided the silver bullet solution I’d longed for and managed to heal whatever injury had ailed me all those years, so I rushed to a coffee shop for a latte and scone. It was a beautiful thing. The crumbly, full-bodied texture of a maple-frosted scone washed down by the creamy latte tasted like pure heaven. As I devoured my old favorite concoctions, however, my conscious screamed – as it often did – in the form of an imaginary girlfriend. “Yeah, well, I think I’m entitled after all I’ve been through.” I took a rebellious bite of the scone and washed it down with a sip of the smooth-tasting latte. The next morning, those sweet flavors were still on my mind, and all I could think about was having another latte and scone. I hadn’t suffered much, if at all, from the previous day’s indulgence, so I gave into their delightful flavors once again. Sitting in the coffee shop, savoring the last sip of the latte, I started to feel light-headed and wondered if I might faint. The familiar labored breathing returned and my mind wavered like a drunk’s, intoxicated by the sugar high. I started to walk home and felt a little better, but knew my life was on hold for another day due to my questionable stability. I’d try living again tomorrow when I had my diet back on track, if I could just fight off the tempting thought that it had been way too long since I’d enjoyed blueberry pancakes with maple syrup. Tags: Balance, food, health, humor, literature, Nature, stories, the arts, writing. Bookmark the permalink. I finally looked this up – sounds awful. Not the writing, the program. I don’t know how anyone can follow that routine. It may be healthy but it sure takes a lot of commitment. I have a feeling one would just think about food all the time. My indulgences this week-end lets me know I need to cut back for awhile. Sure missed you at the clean-up !! It helps to be desperate. This program became more doable when all else failed.